According to an article in the Wall Street Journal, the United States will purchase 32 tons of "heavy water" (deuterium oxide) from the Islamic Republic of Iran. For those of us who are not nuclear physicists, heavy water is used to produce weapons-grade plutonium. This issue is important because one of the provisions of the Iranian nuclear deal (officially the Joint Comprehensive Plan of Action, JCPOA) prohibits Iran from maintaining a stockpile of more than 130 tons of heavy water at any one time. The JCPOA states that Iran, in cooperation with the six nations who are signatories to the agreement (China, France, Germany, Russia, United Kingdom and United States), will rebuild the Arak heavy water research reactor to support peaceful nuclear research and production needs, but in a manner that minimizes the production of plutonium. All excess heavy water beyond Iran's needs for the redesigned reactor will be made available for export to the international market, and Iran will not build any additional heavy-water reactors or accumulate heavy water for fifteen years. The agreement also states that the signatories will "support and facilitate" construction at the Arak complex. I am not sure how that obligates the United States - are we supposed to pay for an build the Iranian nuclear program? The more we discover about this "deal" the worse it looks. Interesting that since the agreement took effect in January 2016, the Iranians have continued to produce heavy water, bringing them out of compliance with the terms of the JCPOA. In February, they exported enough to bring them back into compliance. So, imagine my surprise when I read that the Iranians still continue to produce heavy water and are now out of compliance again, this time by 32 tons of the material. To assist the Iranians in getting back into compliance with an international agreement they signed, the Obama Administration will purchase the 32 ton overage from the Iranians. Since when is it the responsibility of the United States to assist the Iranians in meeting their international obligations? 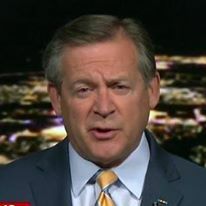 Here is a great quote from David Albright, head of the Institute for Science and International Security: "We shouldn’t be paying them [the Iranians] for something they shouldn't be producing in the first place." Are President Obama and Secretary Kerry so intent on salvaging what appears to be a bad deal just for the sake of having a deal? If the Iranians cannot adhere to this simple provision, what other provisions are they violating that the ineffectual monitoring protocols have not detected? 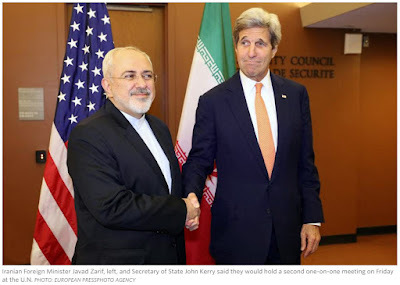 It appears to me that the Obama Administration, led by the easily-duped John Kerry, is determined to side with Iran as they violate several parts of the nuclear agreement, either in letter or spirit. Kerry collapsed on virtually every key point in his negotiations (I hate to even call his actions by that word) with his Iranian counterpart. Now Kerry seems to be facilitating every continuing Iranian maneuver to go beyond the provisions of the agreement. - Kerry (with Treasury Secretary Jack Lew) is working with the Iranians to allow them access to the U.S. financial system, something the Administration made a commitment not to do. The Iranians are demanding this, and Kerry is on the verge of yet another collapse. Now with Mr. Kerry working to help the Iranians come into compliance with the nuclear deal which they area actively circumventing, one might ask Kerry, "Are you our Secretary of State, or Iran's?" * See Syria: Cessation of hostilities - was John Kerry outplayed?